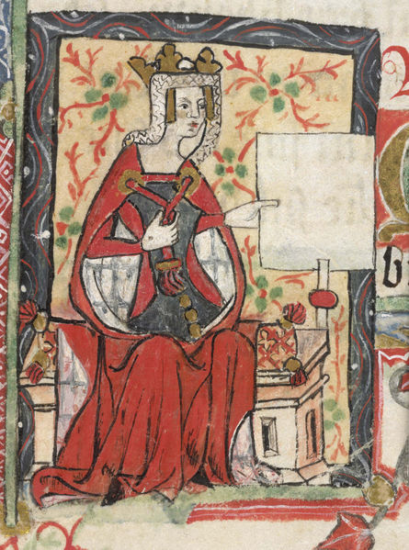 Matilda of England, or Empress Matilda as she is perhaps better known, was born circa 7 February 1102 as the daughter of King Henry I of England and Matilda of Scotland. Matilda had a younger legitimate brother, William Adelin, and around 22 illegitimate half-siblings. We don’t know much about her early life, but she was taught to read. Her first marriage proposal came early, in late 1108 or late 1109, from Henry V, the King of the Romans. 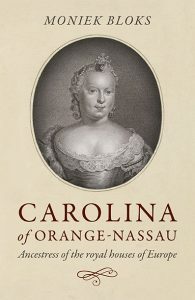 She left for Germany in February 1110 to marry Henry, who was around 16 years older. Upon her arrival, they were officially betrothed, and she was placed in the custody of the Archbishop of Trier who was to educate her in German culture, manners and government. They finally married in January 1114. Matilda was very involved in the government and was sponsoring royal grants and dealing with petitioners. In 1118 Matilda was left to govern Italy while Henry returned to Germany to suppress rebellions. They met again in 1119 when she returned to Lotharingia. They were both present at the Council of Worms in 1122. Despite being married for eight years, they had no children. However, most contemporaries blamed this on Henry and his sins against the church. By 1122 it became clear that Henry was suffering from cancer. His condition worsened quickly, and he died on 23 May 1125. Matilda was still only 23 years old, but there were now limited options for her. She chose to return to Normandy. The loss of her only legitimate brother in 1120 in the White Ship disaster had left the succession in England wide open. Her father had married again, to Adeliza of Louvain, in hopes of fathering another son, but they had not conceived a child. He had also considered searching for an heir among his nephews. With Matilda’s husband now dead, Henry now saw her as a viable option. He declared that she was to be his rightful successor if he should die without a male heir. Naturally, he felt that she could not do this alone and began to search for a new husband. His choice was Geoffrey of Anjou, the son of the Count of Anjou. Matilda was not happy with this plan. Once an empress, she was now faced with marrying the son of a mere count and one who was also 12 years younger than her. She finally agreed to the marriage, and it took place on 17 June 1128. It did not start off well; they simply did not like each other. 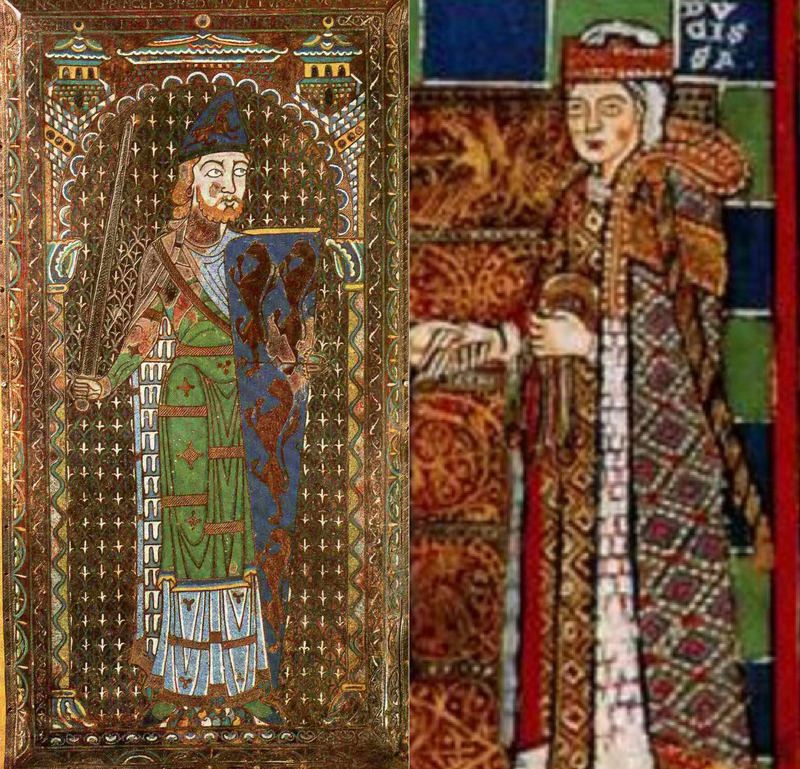 They were finally reconciled in 1131, and Matilda gave birth to her first son in March 1133, the future Henry II. In 1134 they had another son, named Geoffrey, but the birth was difficult, and Matilda almost died. Her father’s death in 1135 set the events in motion. 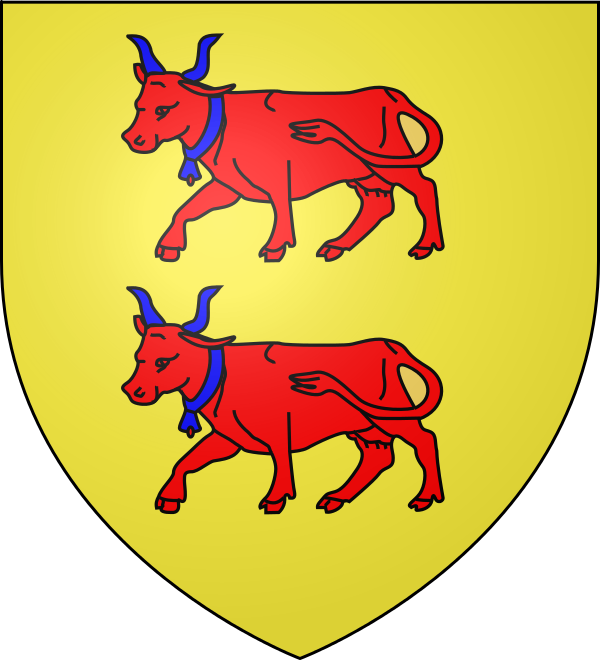 At the time Matilda and Geoffrey were in Anjou, and Matilda was pregnant, which possibly affected her military plans. Stephen of Blois, Matilda’s first cousin, made well use of this delay and began to seize power in England. He was proclaimed King of England by the crowds of London, and his coronation was held on 26 December. Matilda gave birth to her third son, William, on 22 July 1136. The years that followed are now known as The Anarchy. It lasted from 1135 to 1154. Matilda’s claim to being Queen regnant comes from the result of the Battle of Lincoln, where Stephen was captured by Matilda’s forces. 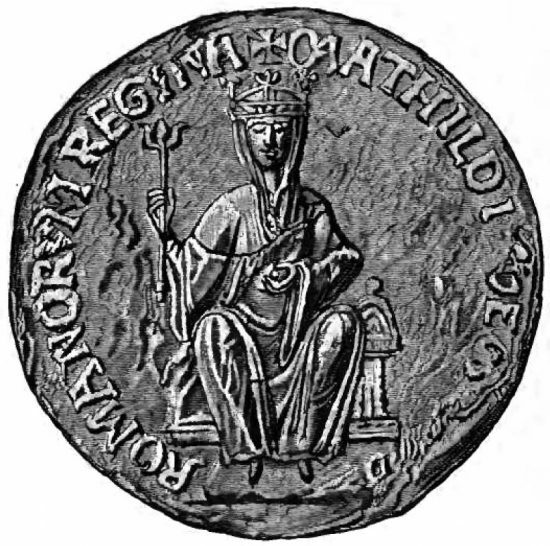 Matilda was declared to be “Lady of England and Normandy”. However, shortly before her coronation in June the city rose up against her, and she was forced to flee. The conflict was doomed to continue for years to come, and Matilda perhaps realised she could not win. In the end, after years of fighting, a treaty was brokered in which Matilda’s eldest son, Henry, recognised Stephen as King and became his adopted son and successor. Stephen died the following year, and Henry assumed the throne as King of England. Matilda spent the rest of her life in Normandy, presiding over the government of the Duchy of Normandy. 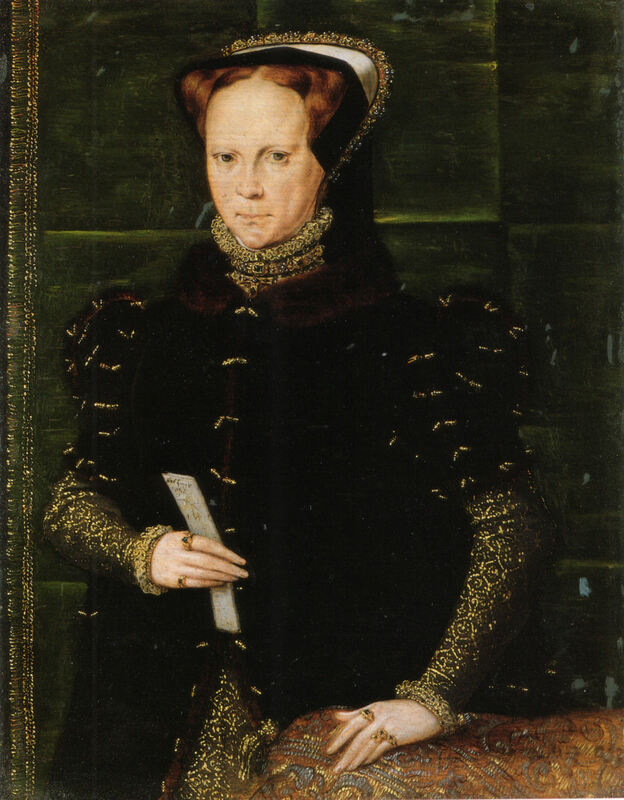 In the early years, she was one of Henry’s advisers. She spent a lot of time on religious activities. She died on 10 September 1167. Her tomb was destroyed in 1421, but it once read, “Great by birth, greater by marriage, greatest in her offspring: here lies Matilda, the daughter, wife, and mother of Henry”. After the destruction of her tomb and the church, her remains were reburied at Rouen Cathedral, where they remain.